The township is already considering prospects for the space. With that designation, under state law, the township now has the authority of eminent domain, granting it power to seek developers interested in purchasing the property from the township to repurpose the space. The committee’s decision to seize ownership was unanimous in light of the property owner’s nearly three years of neglect of the building, according to township officials. Friedman says the Town Center is worth $900,000 in ratables. The building is currently Voorhees Township’s largest taxpayer, paying nearly $1 million a year. “There’s times when government should step in, and I quite frankly believe this is one of those times,” Friedman said. Mason Asset Management and Namdar Realty Group, New York-based firms, purchased the mall back in October 2015 for $13.4 million, but has failed to adequately communicate with the township since that time, as stores slowly became more and more vacant, according to township officials. Contrary to several public comments by township officials at last week’s meeting and in the weeks before, Elliot Nassim, chief executive of Mason Asset Management, said he believes his firm is now working with the township in seeking the right developer to repurpose the space. Nassim says after purchasing the property in 2015, Mason Asset Management and Namdar Realty Group did not have “immediate plans” for the space, but based on the location and demographics, the firms felt there was an opportunity for retail space and offices. However, township administrator Larry Spellman told The Sun last month he had only met with the owners a couple of times since the firms purchased the property. The Condemnation Area in Need of Redevelopment, as determined by the investigation conducted by CME Associates in 2017, includes four acres of two unused parking lots located along the north and northwest corner of the Town Center, as well as the circular grassy knoll outside of the former Macy’s. The plan would not include the Boscov’s, the 400-plus apartment complex or the section of shops and restaurants near Laurel Oak Road. When Voorhees Township municipal offices relocated to the center in 2011, vacancy rates reduced to less than 50 percent, according to the official report. 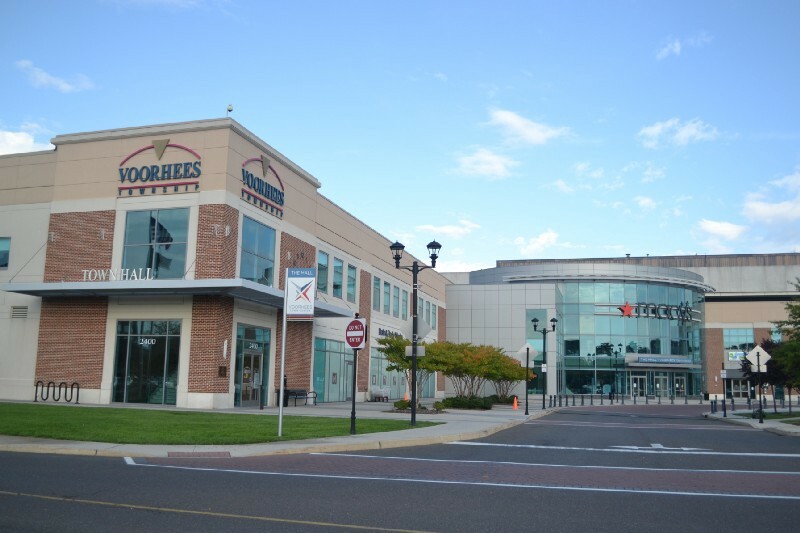 The investigation specifically addressed “phase two” of a redevelopment process that started in 2007 when the Echelon Mall was renamed the Voorhees Town Center after the mall rapidly declined in 2000. Its vacancy rate eventually hiked to 75 percent in 2005, according to the report. With stores continuing to close and now Boscov’s acting as the only anchor store, the mall is facing the same vacancy problem it had in 2000. However, Nassim says some retail properties simply fair worse than others in this economy. “Vacancies are part of natural course of retail right now,” he said. Committee members say there’s already potential prospects and developers that will be considered soon. At the meeting, the public voiced support of the committee’s decision in reclaiming the Town Center.